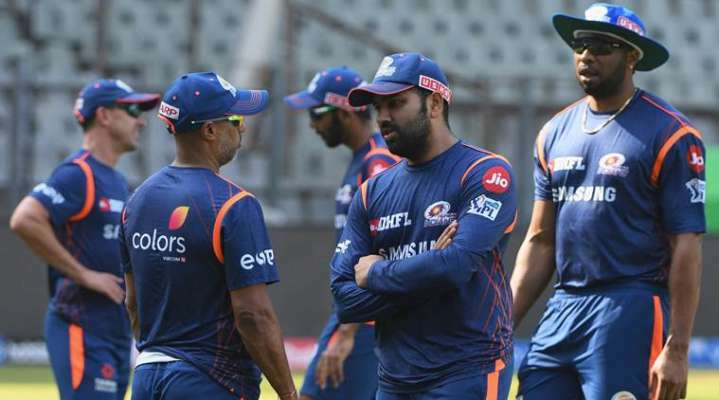 MI vs RCB, IPL 2019 Highlights: Hardik Pandya smashed 37 runs in 16 balls to take Mumbai Indians to a win against Royal Challengers Bangalore. FOUR! Pitched it fuller and Pandya comes underneath it and hits it over the covers for another boundary. SIX! Another slower delivery and Pandaya has smashed it for the maximum over long-on. Relying purely on his bat speed on a slow ball. BIGGIE! Hardik Pandya did not connect it well, but the little bit too short delivery hqas been hammered for a six, nonetheless. FOUR! Pitched it outside off and Pandya has hammered it for a boundary. Hit it so hard and it clears the distance. 12 needed off 9 now. GONE! Krunal Pandya has holed out to a substitute fielder Milind. Siraj gets his first wicket in the match. Mumbai are 148/5. FOUR! Hardik Pandya hits it straight down the ground - and this will cover the distance for a boundary. Siraj then gives away too wide deliveries. FOUR! Hardik Pandya has hit it miles into the air and Tim Southee gives it a chase. But somehow he misses and somehow it raced to the boundary. SIX! Hardik Pandya has hammered the first ball from Navdeep Saini for a boundary. These death overs will be difficult for Mumbai with spinners being bowled out. Mumbai Indians are 127/3 after 15 overs. Still need 42 to win in 30 balls. RCB need wickets if they want to win this on for their side. A massive caught behind appeal from Patel and Moeen Ali. It prompts Kohli to consider to go for a review. But in the end, Ali was not too sure. FOUR! Rohit Sharma crunched through the covers on a fuller delivery outside off stump. Brilliant strokeplay. Takes a single and brings de Kock to strike. SIX! De Kock goes big. Length delivery around the hip and the left-handed batsman hammers a pull, flat and hard over deep square leg. It has just taken 4.2 overs for Mumbai Indians to reach the 50-run mark. RCB have brought Yuzi Chahal into the attack, hoping to get a wicket here. SIX! Is that Rohit Sharma or Cesaro because that is a sweet, sweet upper cut. A bouncer from Mohammed Siraj outside off stump and the Mumbai skipper slashed hard for a flat six. FOUR! Overpitched outside off from Umesh and driven crisply through the covers by de Kock for another four. FOUR! Length outside off Umesh. de Kock swings across the line and swings hard and so the outside edge flies over slip for another boundary. SIX! WOW, that is so much better. Umesh Yadav tries to hit a bouncer and de Kock has pulled it for a biggie. SIX! Navdeep Saini bowls it short and outside off. Rohit Sharma thinks this is a gift. He pounces on it. Pulls it over for a six at deep backward square. BOUNDARY! Length outside off, no swing there and de Kock drags it across the line to mid-on&apos;s left for four. FOUR! Umesh Yadav misses his line, straying down the leg side, bit of bounce, de Kock drags it towards deep backward square for another boundary. 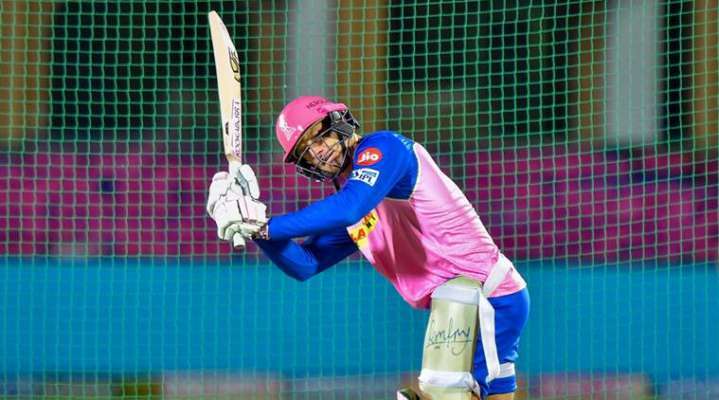 Quinton de Kock and Rohit Sharma out to open for Mumbai Indians. Umesh Yadav starts the attack for Mumbai Indians. CHASE IS ON! Crazy over from Malinga. A six and a double in the over. RCB finish 171/7 in 20 overs. MI need 172 to win. GONE! Direct hit from Pollard and the dangerous De Villiers has been run out for 75. RCB 169/5. Still four balls to go in the final ball and it will be Akshdeep Singh on the strike. RCB are 162/4 after 19 overs. AB de Villiers is in the middle with and Lasith Lainga is with the ball. 1st ball! SIX! Miles into the stands - de Villiers has smashed it miles into the stands. SIX! Malinga bowls it fuller, misses his line, and this was straying down the leg side. de Villiers comes underneath it and hits it over deep backward square for the maximum. Brings up 150 for RCB. Moeen Ali, too brings up his half century. 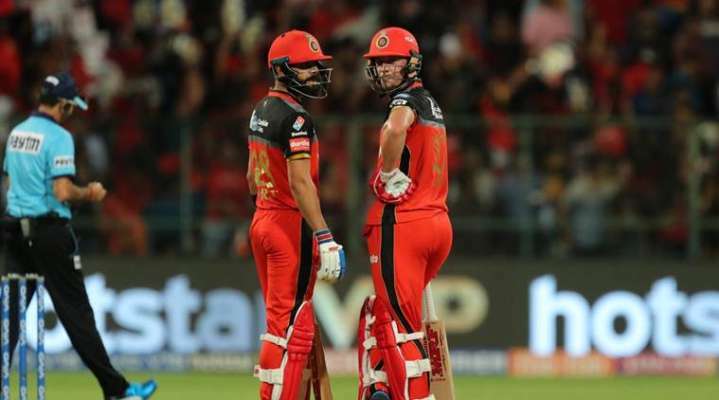 This is a great partnership between the two overseas cricketers and it has put RCB in total control. FIFTY for AB de Villiers! The former Proteas batsman plays it straight and Kieron Pollard misfields it. Allows him to take a double. This brings up his second half century. Jason Behrendorff is on the receiving of a Moeen Ali hammering. De Villiers takes a single off the first ball of the 16th, Ali then faces a dot and then it is 6, 4, 0, 6. He moves to 46 off 27. Moeen Ali picks up Krunal Pandya&apos;s final ball of the 15th over and clobbers it over long-on. That covered some distance, vertically and horizontally. It&apos;s Moeen Ali and AB de Villiers in the middle now. They are still in a good position, the visitors, having crossed 100 within 14 overs but will need one of these two to stick around to put up a big total. SIX! Hardik Pandya has top edged this one over the wicketkeeper&apos;s head for a maximum. Crafty from ABD, and with the pressure building, he is looking to target a few bowlers. 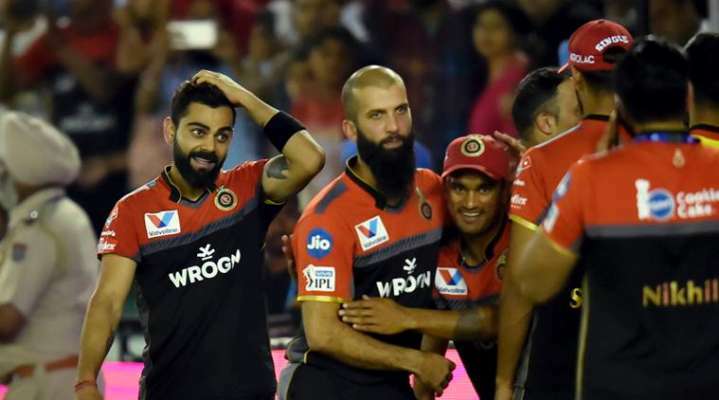 Royal Challengers Bangalore are going slow about their business. After 9 overs, the total is just 62/2. Moeen Ali and ABD have to get going now. FOUR! Reverse sweep executed to perfection from ABD. What a shot that is - comes under the ball and hits it over the fielder at slip and short third man. Brings up 50 for RCB in style. FOUR! Bumrah misses his length just once and ABD punishes it. Short of a length delivery, wide outside off stump and ABD has glided it over mid-off for a boundary. SIX! Parthiv Patel picks a slower ball and then hammers it to long-on. The fielder Ishan Kishan jumps in the air to try and catch it in the air, but he has only placed it over the ropes. Tough chance. FOUR! Terrific shot! Length outside off from Behrendorff, the third-man&apos;s up and Parthiv just steers it between keeper and the fielder for four. FOUR! An action replay of the previous ball.